The Detroit Lions promote responsible drinking and positive fan behavior at Ford Field. The Lions alcohol management plan ensures that fans have a safe and fun experience. Fans can send a text or call to report Guest Code of Conduct violations. TEAM Training has been conducted at Ford Field since 2008 by Levy, S.A.F.E. Rocket Man and Olympia Entertainment. History of TEAM Training at Ford Field. 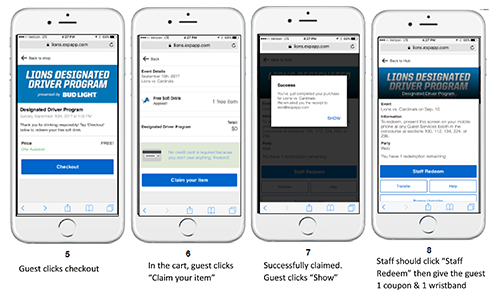 Since 2016, the Detroit Lions have used the Lions app to register fans for the designated driver program. 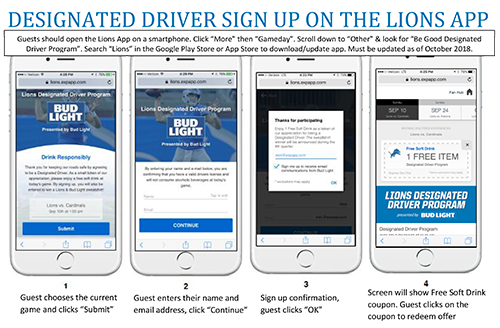 The steps below show how the digital designated driver program on the Lions app works. Fans who pledge to be designated drivers receive a complimentary soft drink and a chance to be selected as the Designated Driver for the Game. Designated Drivers for the Game are recognized on the stadium video board and receive a Lions jacket. Never take matters into your own hands. 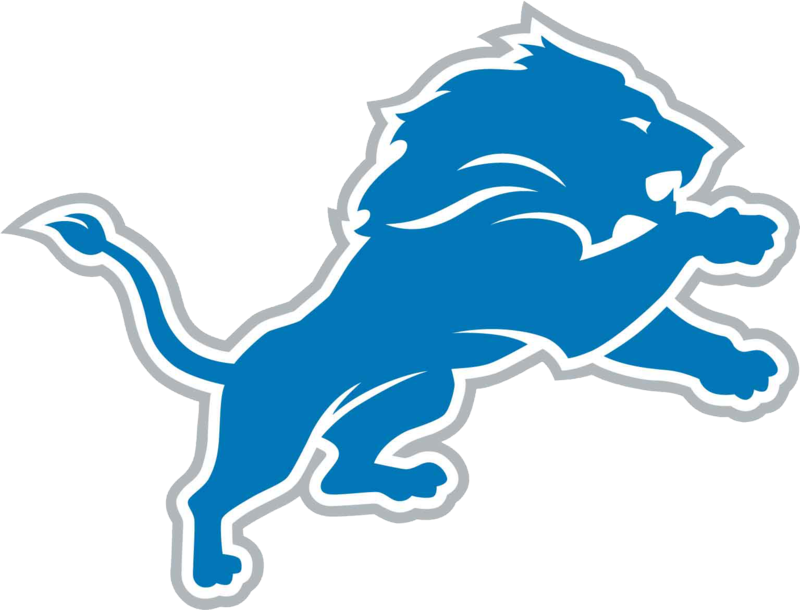 Contact the nearest Ford Field representative if any issue arises or text “LIONS” issue and location to 69050. Interference with the progress of the game including throwing objects onto the field.